You must have seen people wearing rudraksha for several purpose. Rudraksha is mainly worn to achieve power and strength and to lead a healthy life. According to ancient beliefs, Rudraksha is associated to Lord Shiva and that’s why whoever wear it, gets the power of blessing of Lord Shiva. Rudraksha is popular among the Hindus and the Buddhists for its medicinal and divine properties from ancient time and still today, it is used by people who have belief in the strength of rudraksha. According to the religious text of Devi Bhagwat Purana, there was a demon king, named Maya. He was outrageous and strong. With divine power he became uncontrollable. Once he realized his power, he wanted to gain the supreme strength and that’s why started troubling the saints and the deities. He was so powerful that none could stand in front of him. He made three towns of three different metals- one was of gold; the other was of silver and the last town was built of iron. He made these towns non-destroyable and named them together- Tripur. As the ruler of Tripur, he named himself as ‘Tripurasur’. He ruled over these towns with his two brothers. Soon, he commenced war against Indra, the king of the gods. He won the battle and looted paradise and started to rule there. Being thrown out from the monarchy, Indra went to Lord Brahma for help. But, after getting disappointment there, he moved to Lord Vishnu. But, Lord Vishnu also could not help him. 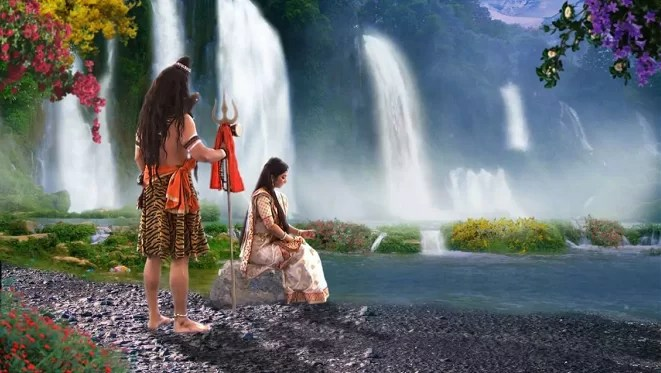 He suggested him to visit Lord Shiva and together all gods, Indra went to Lord Shiva for rescuing heaven again and destroying Tripurasur and his three towns. The entire creation began to help Lord Shiva. The chariot was made of earth while the wheels were the sun god and the moon god themselves. Lord Brahma drove the chariot with Lord Shiva on it while Lord Vishnu became the arrow in the arch of Lord Shiva. All other gods got prepared for the battle against Tripurasur. 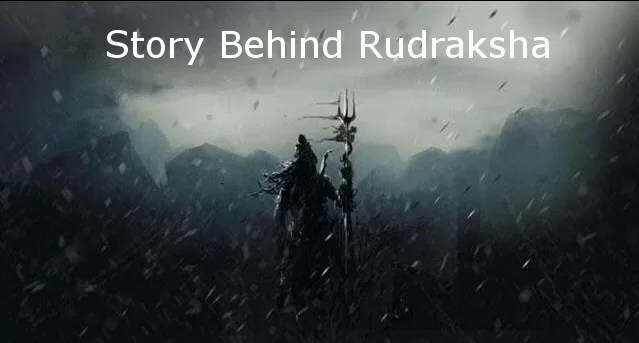 When Lord Shiva reached the place from where he can use just one arrow to kill Tripurasur. Reached at the spot, Lord Shiva got too angry that he took the pose of Rudra. In that pose, he executed his arrows and destroyed Tripurasur with three towns, Tripur. All gods became very happy and worshipped Lord Shiva. After the battle, all gods returned to the Himalaya for rest. There, Lord Shiva started meditation. Once he opened his beautiful eyes, few tear drops fell from his eyes. Those tear drops formed rudraksha tree and the beads are the fruits of the tree. Thus, rudraksha tree came into being.